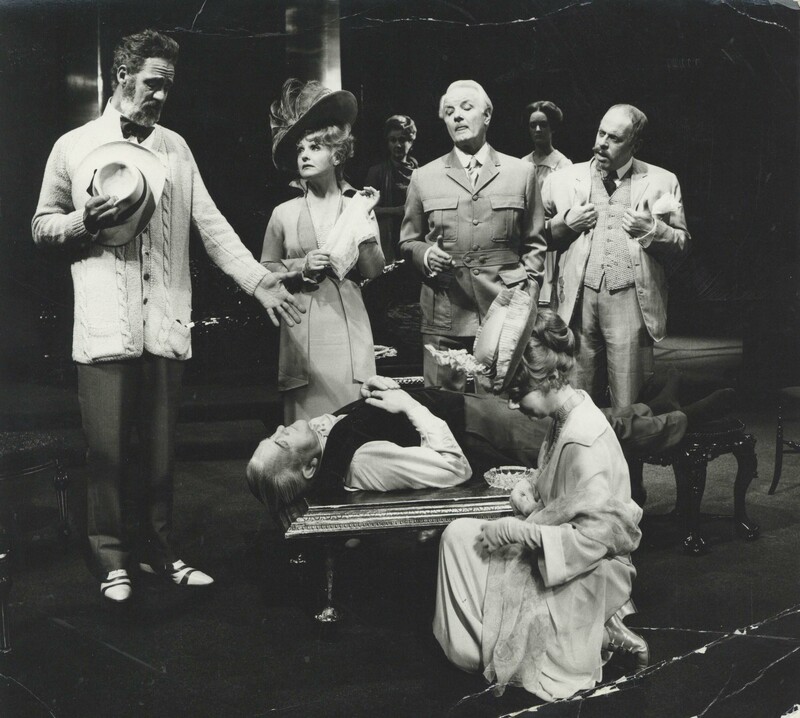 Amelia Mlynowska has used the archive to research the Festival Theatre's secondary performance spaces 'The CFT Tent' and the Minerva Theatre. 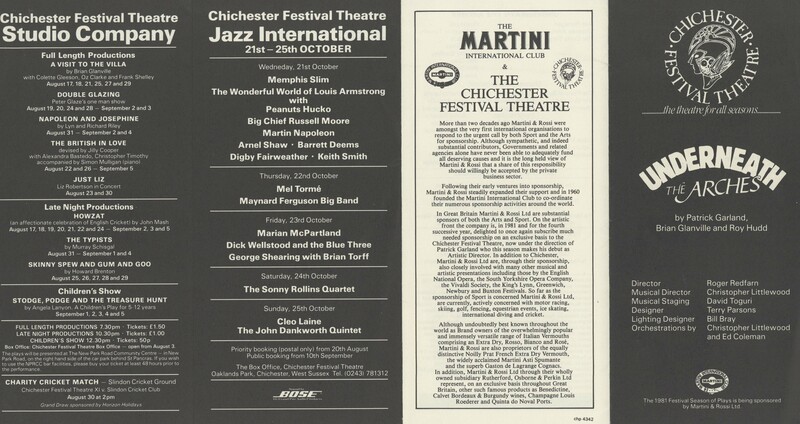 In 1983, Chichester Festival Theatre created a special, temporary studio space to hold a summer festival of performances. It was called ‘The CFT Tent’ or ‘The Tent’ for short. The Tent was a studio theatre housed in a giant marquee which was erected and situated where The Minerva Theatre is today. The aim of The Tent was to be a special space where experimental performances of drama, dance, music, comedy and other events could be celebrated. This summer season ran alongside the plays held on the main Festival Theatre stage. 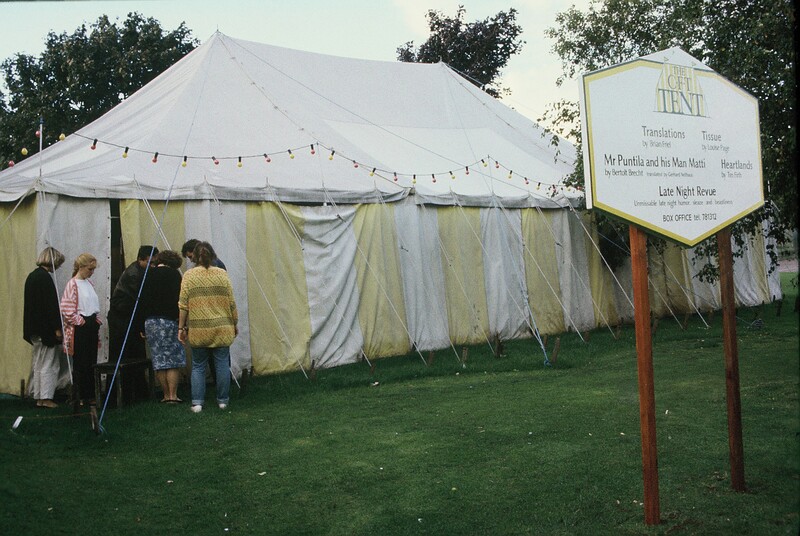 The actual tent itself was yellow and white so the colour scheme of The Tent’s leaflets, programmes and publicity was mostly bright yellow and green. The Tent’s stage was half the size of the current Minerva Theatre stage. The Tent contained a ticket booth, a bar and lots of crew to organise the transport, costumes, set, props and wardrobe. 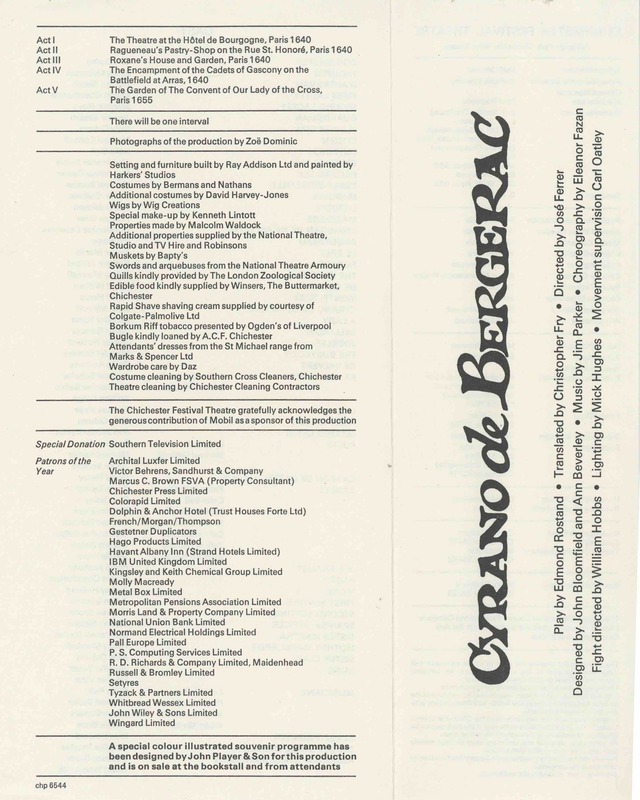 It had 140 seats which were unreserved so audience members could sit where they wanted to for the performance. 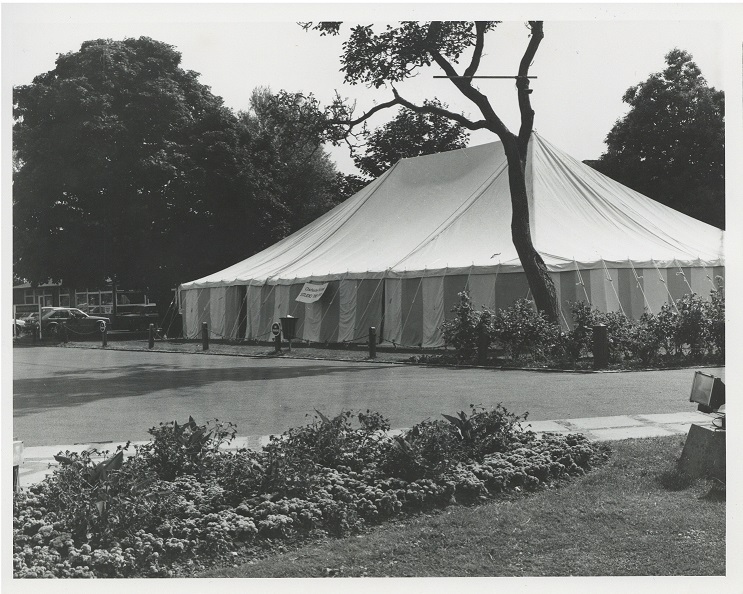 The Tent’s first season in 1983 was such a success that The Tent was re-erected each Spring and taken down every Autumn from 1984 to 1988. 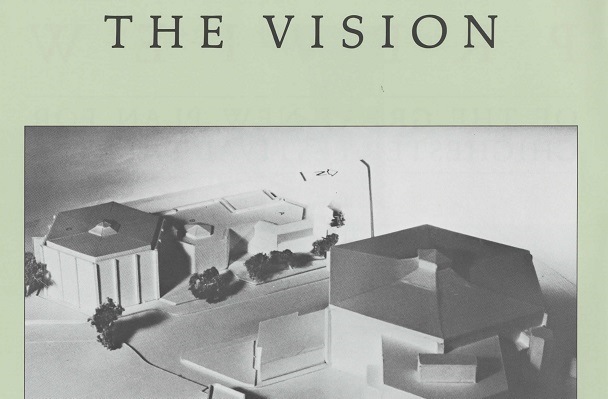 During these later years fundraising to build a permanent studio theatre started and led to The Minerva Studio Theatre being created, designed and built. 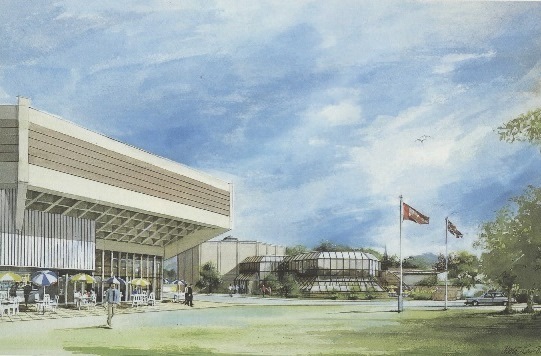 The Minerva Studio Theatre opened in 1989 and was to continue The Tent’s legacy.